Design your unique Huawei Ascend P8 Lite full wrap case. 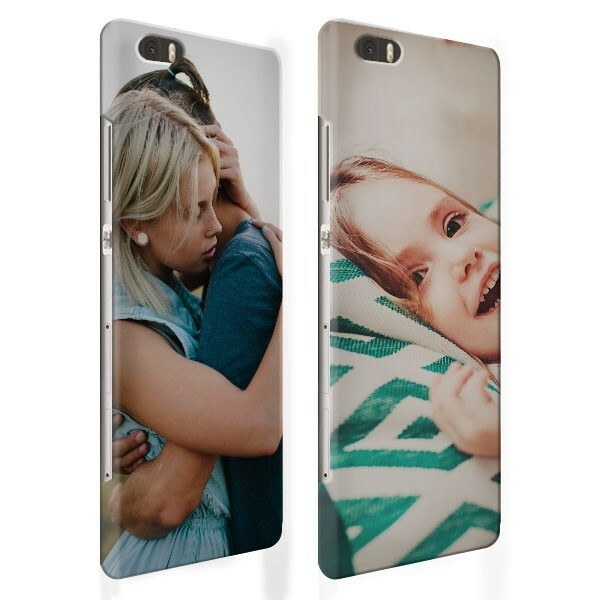 Makie completely customised phone case with your photo or image. Print your design on this full wrap case and keep your phone protected. Full wrap Huawei P8 Lite case! The full wrap case is something very special here at GoCustomized. The full wrap case has your design printed not only on the back of the case, but also on the sides. This opens up the opportunity to make a really unique, Huawei P8 Lite case. The case itself is a durable, high quality hard case which ensures that your phone is well protected at all times. All buttons and access ports are easily accessible. Get started on your personalised Huawei P8 Lite case now! Designing a personalised case made easy. Our design module was developed to ensure that the process, of making a personalised case, is as easy as possible. The first step in the process of designing your own case, is uploading an image. You will get the best results if you upload an image of the highest possible quality. The designer module can handle uploads of up to 6MB. This should be plenty to get a good image. Once you have uploaded your image, you can reshape and resize the image as you please. Lastly, add some personal text. There are some great fonts and colours for you to choose from. We ensure that your case is on its way to you within 24 hours of purchase. Our average delivery time is 5/7 working days. Our packages are easy to deliver and fit through your mailbox. This way it is not necessary for you to stay at home and wait for the delivery.